France was the destination of the first two submarine cables ever laid, in 1850 and 1851 from Dover to Calais. The country’s proximity to Britain no doubt influenced this first route, but France was an important center of commerce and politics and many other cables followed. By the turn of the century, as this 1920s British Admiralty map shows, France was linked not only to England but also to Ireland, Canada, and the United States. 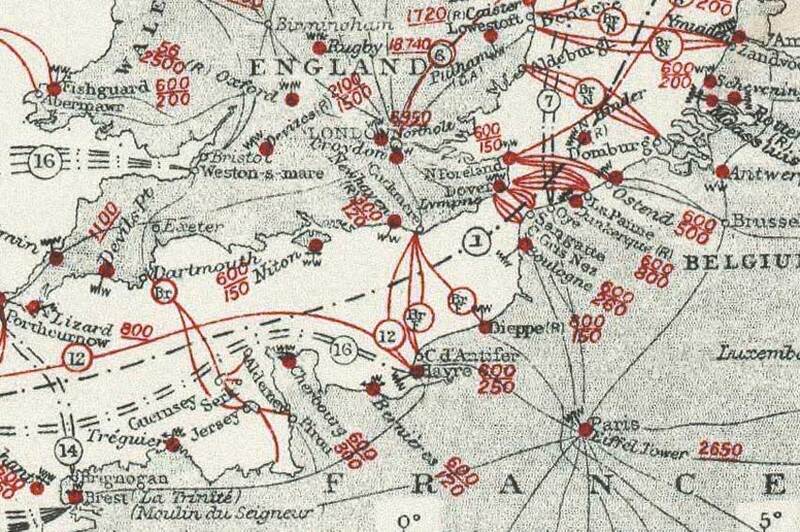 Cables at or near Le Havre were owned and operated by the Anglo-American Telegraph Company, the British Post Office, and the Commercial Cable Company. 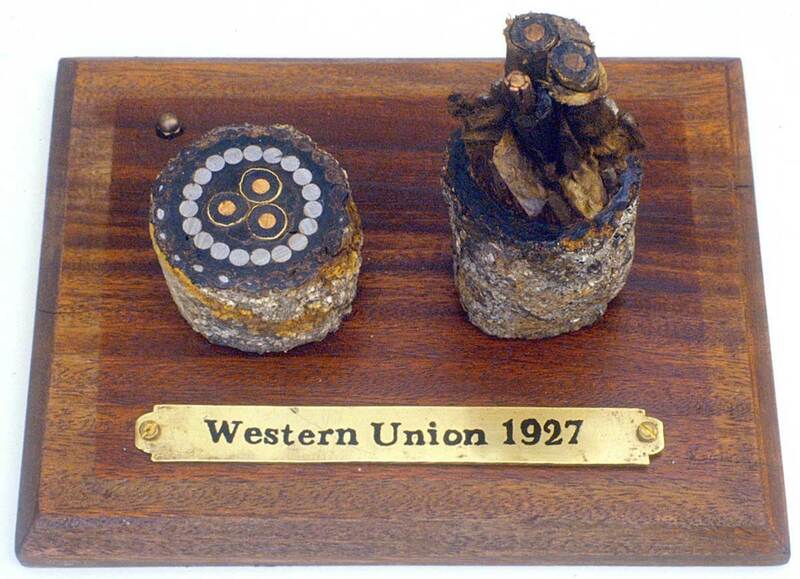 The Anglo-American cables were taken over by Western Union in 1912. 12: Anglo-American cables from Le Havre to Bay Roberts, Nova Scotia, and Cuckmere, England. 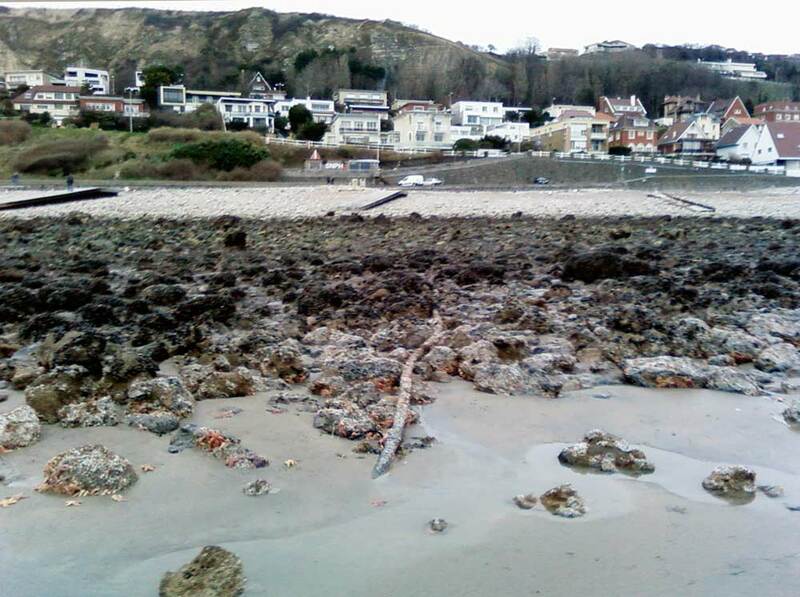 The Bay Roberts cable originally terminated at Sennen Cove, Cornwall, and was later extended to Le Havre. 1870 Beachy Head ‑ Cap d'Antifer Submarine Telegraph Company. Cable made by W.T. Henley Six conductors. 1918 Cuckmere ‑ Havre 2 GPO Four conductors. 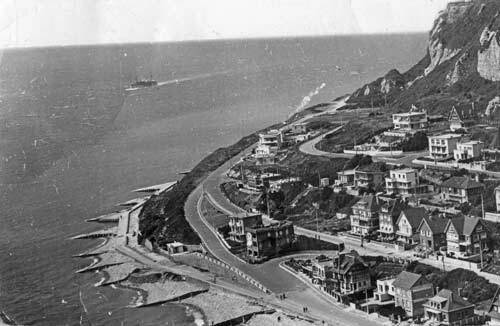 As well as the 1870 cable, the 1917 and 1918 cables also terminated at Cap d’Antifer, about ten miles up the coast from Havre. This photograph shows the 1870 cable hut (bottom left) circa 1900, with telegraph poles carrying the landline to the Antifer lighthouse and signal station, and on to Le Havre. TELEGRAMS FROM AMERICA TO FRANCE. The Post Office have refused to grant a licence to the Western Union Telegraph Company to bring a new submarine cable from Havre into Penzance, for the purpose of joining it up with the Transatlantic cable which comes to land there, and so providing through submarine communication with France. 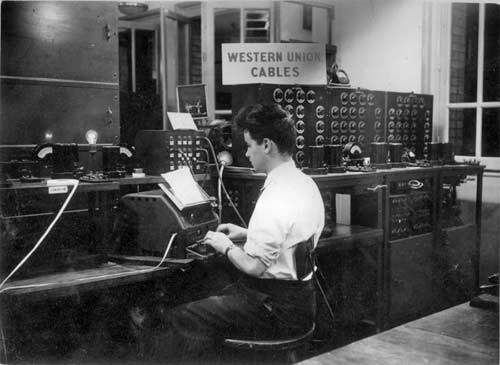 As a result, the Western Union Telegraph Company has decided to pick up its Atlantic cable outside territorial waters, some three miles from the Cornish coast, and to make the connexion there. It is estimated that this proceeding will cost about £55,000. The company is prepared to undertake this expenditure, however, as the maintenance costs are likely to be low, and the only alternative offered by the Post Office was a direct line to France through London, at a cost of £40,000 a year. An official of the company explained yesterday that the reason for the application was a desire to do away with the defects of land lines—always the weakest link in a cable service—and to quicken transmission between America and France. Representatives of the Post Office declined yesterday to make any statement. The cableship Pouyer-Quertier, built in 1879 by C. Mitchell & Company, Newcastle upon Tyne, was based at Le Havre on Atlantic maintenance duties until replaced by CS Contre Amiral Caubet in 1896. Contre Amiral Caubet was built in 1875 by Forges et Chantiers de la Mediterranée, Le Havre, and refitted in 1896 for cable work. The ship was based at Le Havre until sold out of the cable industry in 1915. CS Emile Baudot , built in 1917 by Swan, Hunter & Wigham Richardson Ltd., was the first cable repair ship owned by the French PTT and was based at Le Havre for maintaining French coastal and Anglo-French cables. 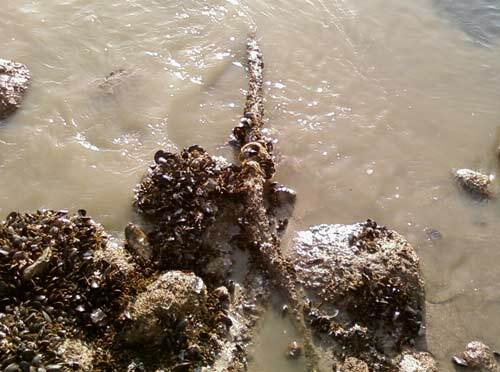 In 2010 samples of two cables were recovered by Patrick Gueulle on the beach at the site of the Western Union cable landing at Le Havre. The location was confirmed by Bernard Perrault, a former WU teletypist who worked at Le Havre beginning in 1945. 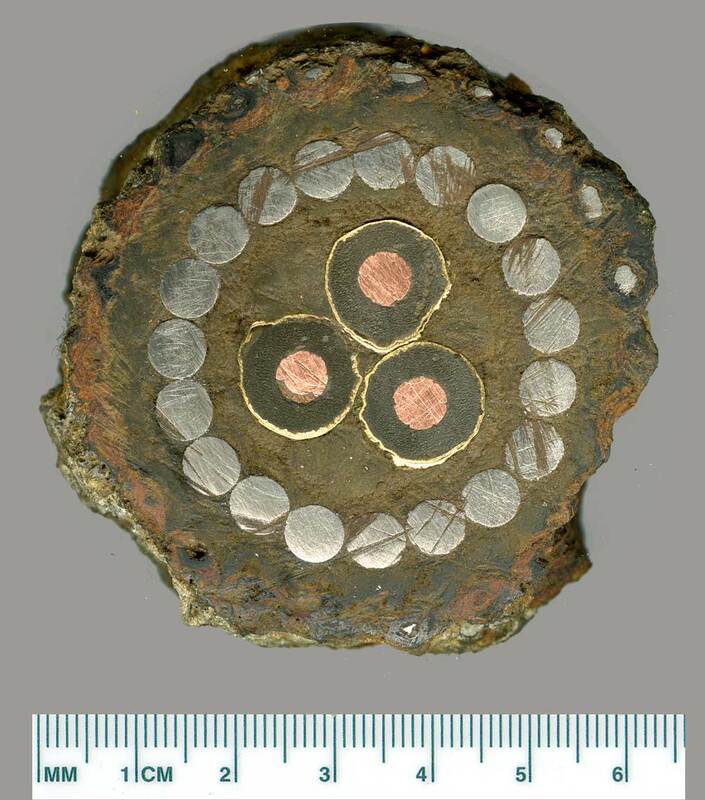 This shore-end cable section has three conductors, each comprised of a central copper wire 0.14" diameter (9 BWG)with six copper ribbons spiraled around it. The conductors are insulated with gutta percha to a diameter of ~0.45" and each is protected by a brass teredo shield. 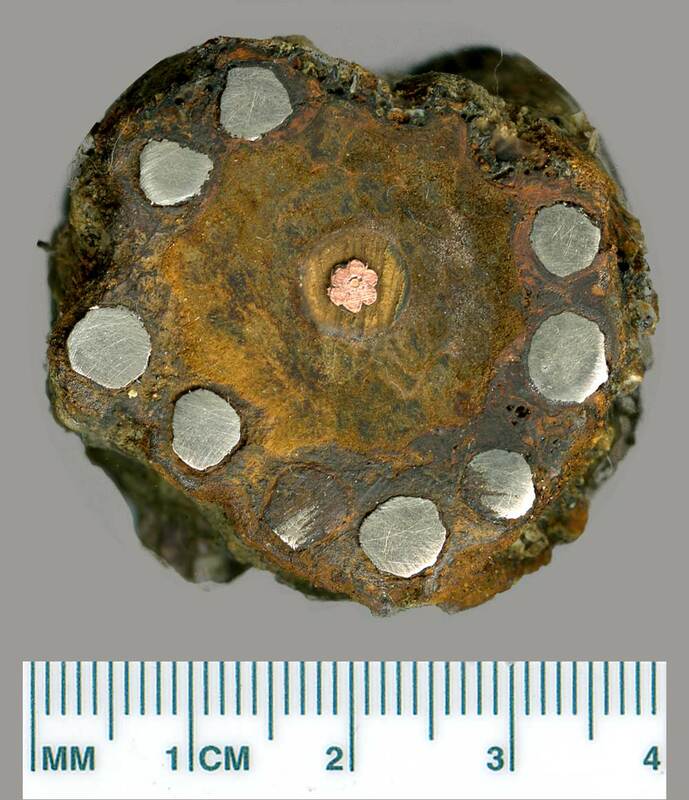 The nineteen inner armouring wires are ~0.24" diameter (4 BWG), and the remains of outer armouring wires are visible at the upper right edge of the sample. 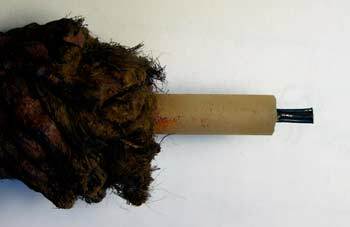 The construction of this cable is typical of that used from the late 19th century into the 1930s, and this sample is almost certainly from the shore end of the 1928 diversion of the 1910 Bay Roberts cable. Of the three conductors, one carries the signal and the other two are the long and short sea earths, used to balance the cable for duplex operation. See the page on sea earths for further information. The second cable sample is of a later type. Although the conductor is of the six-around-one construction first used in the 1850s, the insulation appears to be polythene. 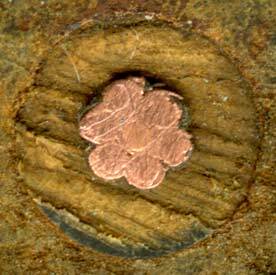 This material, first synthesized in 1933, was not used for cable insulation until the late 1930s, and it’s likely that this section of cable was a later repair to an original cable. Each copper wire is ~0.045" (19 BWG) in diameter, and the core diameter is ~0.28". This map shows the locations of the cables and also the former cable hut, now a coffee shop. Western Union cable hut on an old postcard. The ship in the distance is a sand dredger. The landing site of the Commercial Cable Company’s cables was about 1 kilometre to the south-east of this location, but all traces of these cables were removed many years ago to clear the area for bathing. 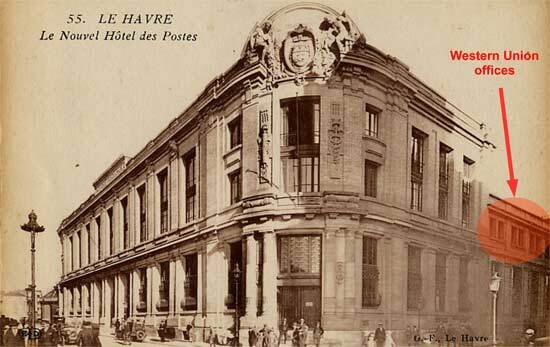 Both Western Union and the Commercial Cable Company had their offices in the Post Office building, known locally as “Le Havre Principal”. The new Hôtel des Postes was designed by William Cargill (an architect hired by the city of Le Havre) and housed the French Post as well as the two US transatlantic cable companies, Western Union and the CCC. The Western Union offices were located in the right-hand side aisle (west aisle) of the Post Office (marked by the red highlight above). The building is still there; the outer walls have been preserved and the appearance of the building remains as it was at the beginning, but the inside is now occupied by luxury apartments. These photographs show Bernard Perrault and his colleague Jean Auger at Western Union in 1949. I joined Western Union at Le Havre in 1945 on June 1st as a messenger when I was 15 years old. The manager, M. Leon Danet, was recruiting young people as the war was just finished and W.U.’s cable offices were re-opened in Le Havre and Paris. So I was trained to type on the "Underwood Machine", with a big book under each arm to learn how to do it correctly. I also learned to send and receive Morse code, and to read perforated tape (multiplex five holes) as well as the “newspaper”. 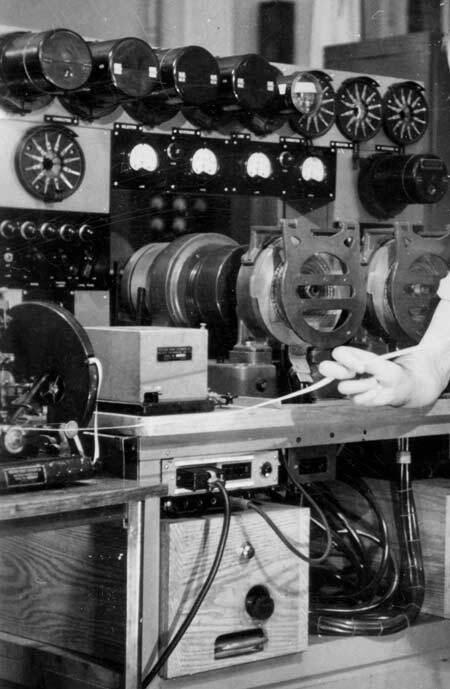 In 1946 I started working on the cable circuits as a cable operator’s assistant, then from 1947 until my departure in January 1951 for military service I was a cable operator, working in a team covering three 8-hour shifts every day, including Sundays and holidays. 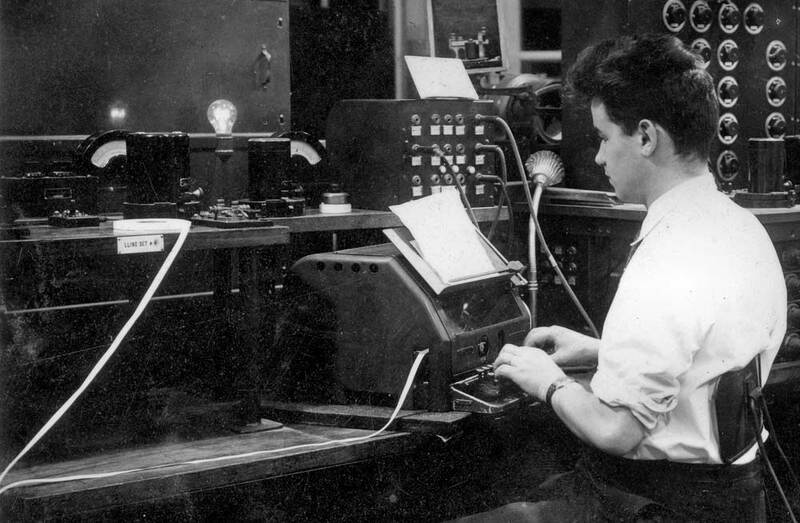 Between January 1951 and June 1952 I spent 18 months in military service in Morocco, at Fez and Casablanca, transmitting messages for the French Air Force (always using teletype). 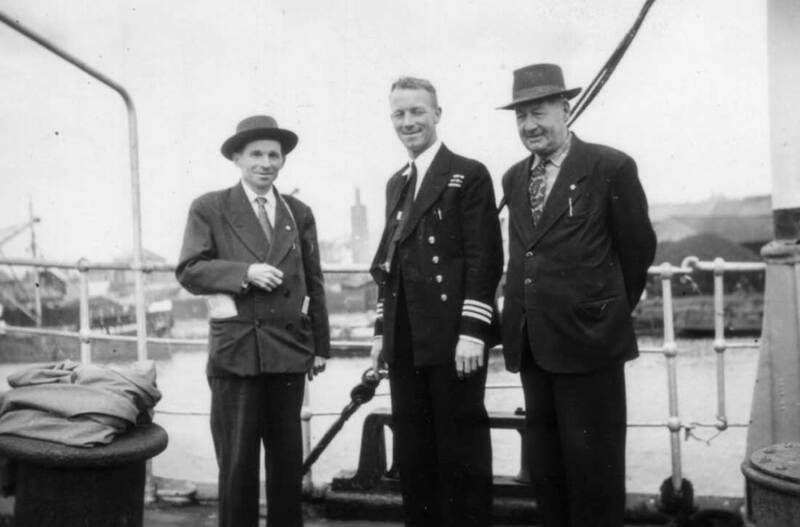 When I returned to Le Havre my boss was not able to take me back in the office there because all the American soldiers had returned to the States, and he offered me instead the same job in Western Union’s Paris office. In 1956, after we learned that WU were going to close their centers in France, I had the opportunity to join a big American import-export firm, the Continental Grain Company, located in New York at 277 Park Avenue, with their European head office in Paris. With five operators from W.U.’s Paris office, we created an internal transmission service, renting direct lines between Paris/New York - Paris/Buenos Aires, Paris/Tokyo, Paris/Hong-Kong. We also operated lines between our offices in Europe, connecting Paris to London, Hamburg, Rotterdam, Antwerp, Rome and Madrid directly. All these stations sent their traffic to Paris, and we retransmitted the tapes to all named stations from and to New York 24 hours a day. I started there as supervisor, and ended up in 1988 as chief of the department. Altogether, I spent 52 years in Paris, and finally returned to my native Le Havre in 2004. 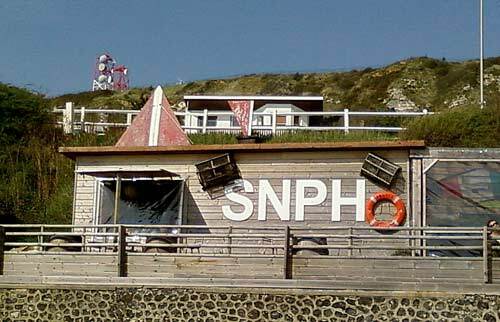 Almost every day, weather permitting, I walk along the seaside to the Cable Hut, which is now a coffee shop, and I am friends with the owner to who I explained the story of the cable house. 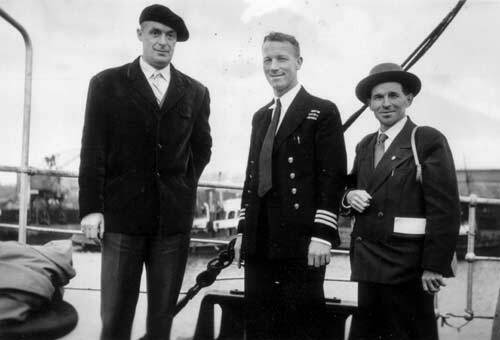 Like Bernard Perrault, Jean Auger was a native of Le Havre, and he started working as a maintenance technician for Western Union in 1948. 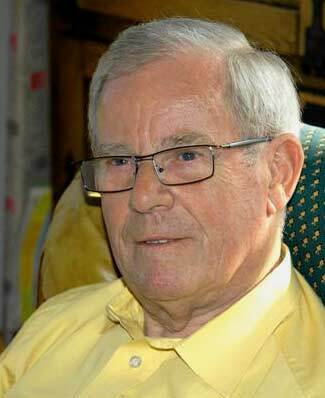 He was employed there for ten years and left the company in 1958, about four years before Western Union closed their Le Havre office in 1962. He then worked as a maintenance engineer for companies such as Kuhlmann Chemical, Varian (a US company) and Girdel, where he designed some gas chromatography equipment. 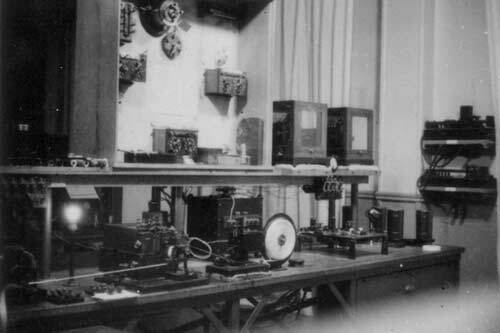 All his life he remained fond of electronics experiments. 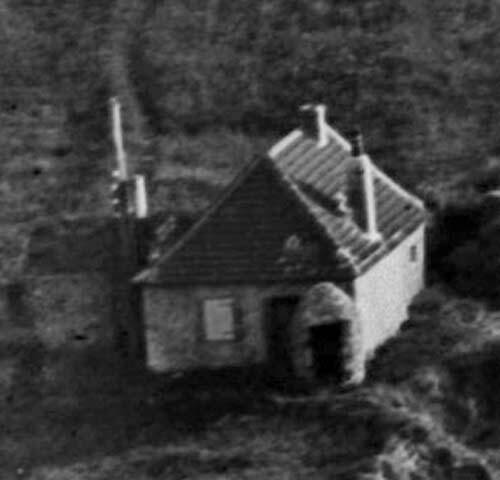 When I was a child, and walked with my parents along the shore, every time my dad recalled the hut by saying "Look this is the Western Union cable hut". Once it happened that the cable was broken close to the shore, and the cable ship was on the spot where the cable was damaged. My father and another colleague were busy making cable measurement in the cable hut, and the communication with the cable ship was done with flashlights using Morse code. 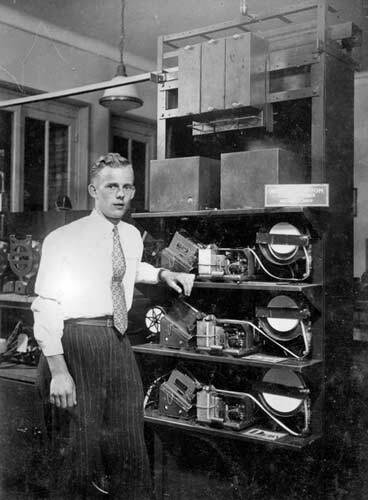 Bernard Perrault recalls that Western Union had three duplexed channels across the Atlantic from Le Havre after the war, each with a punched tape reader. 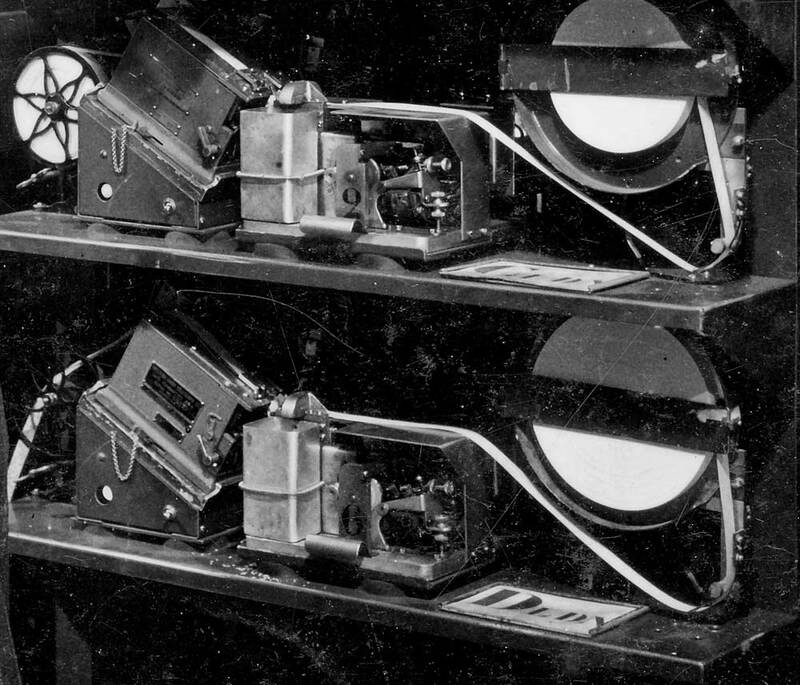 The rotary multiplexers seen in the photographs above would have been used to interleave the three channels on the single transatlantic cable. 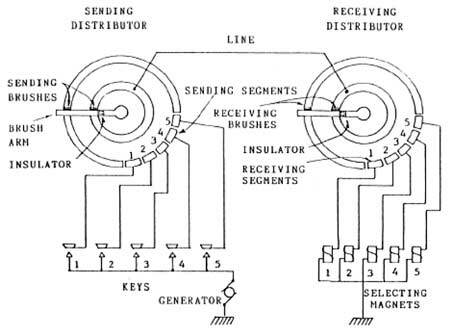 Two rotaries are needed for each circuit, one for send and one for receive. Cable design and signal shaping increased the speeds to levels which exceeded the ability of automatic transmitters. 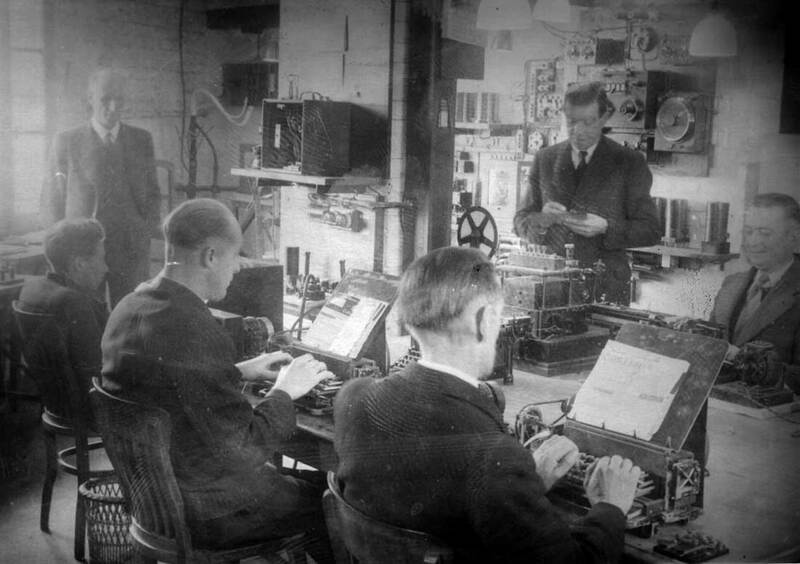 It was obvious that some form of multiplexing was required to permit several operators to use the cables simultaneously. On telegraph cables time division multiplexing was used. Each operator was connected in cyclic order for a short period of time. Western Union achieved this by using a rotary device. Signals from the transmitter of each channel were distributed onto brass segments of a fixed face plate. A rotating spider connected each segment in turn to the cable. 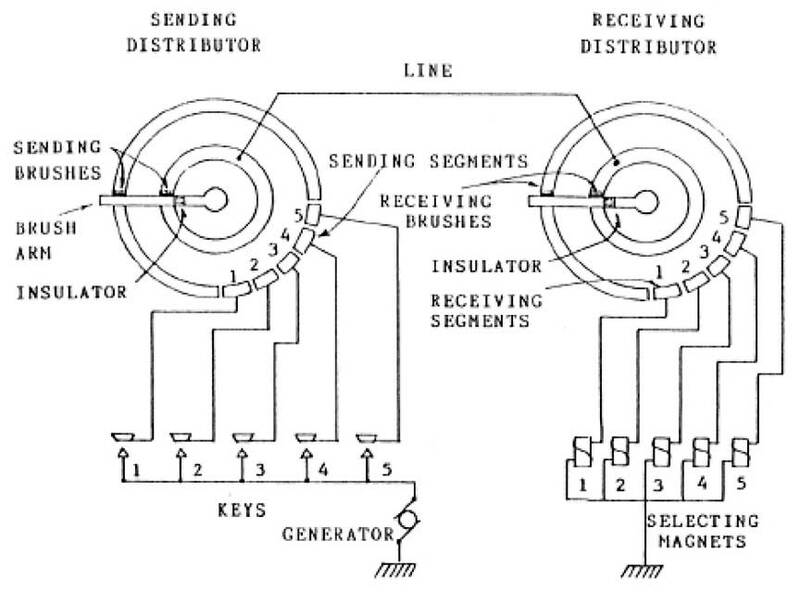 Demultiplexing at the other end was performed by distributing the incoming signals into their corresponding channel segments. system, in which five users get a share of a single cable. The rotaries were driven by phonic motors, a type of stepper motor which was controlled by a tuning fork. The tuning forks were of identical frequency and were maintained in a constant temperature environment. Before start of business a prearranged sequence of signals were transmitted. Duplexes were balanced and then the phase of the motor was stepped on, one segment at a time until coherence was obtained and the correct signals were received. 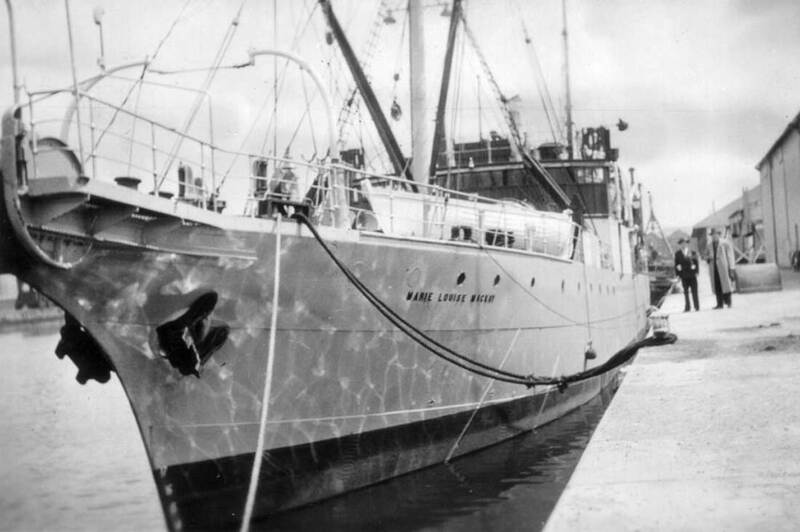 The Le Havre office was closed in June 1940 when the Germans arrived, and Western Union traffic from Paris was diverted to the Pouyer-Quertier cable at Deolen, near Brest. Shortly afterwards, Deolen was also taken over by the Germans. The cable at Deolen was originally owned by La Compagnie Française du Télégraphe de Paris à New York, which in 1895 merged with La Société Française de Télégraphes Sous-Marin to form La Compagnie Française des Câbles Télégraphiques. The Report of the Chief Signal Officer to the Secretary of War, Washington, Government Printing Office, 1919, describes the operations of the American Expeditionary Forces in France in 1917/18, and includes much detail on military communications both within the country and overseas. The Forces initially used one circuit in the existing Beachy Head - Le Havre cable, and subsequently had a cable laid by the GPO from Cuckmere to Cap d’Antifer. PREPARATIONS AND ORGANIZATION OF THE SIGNAL CORPS, AMERICAN EXPEDITIONARY FORCES. First Lieut. J. B. L. Hickerson served as acting chief signal officer, line of communications, until October 5 , when Col. C. S. Wallace was made chief signal officer, line of communications. On October 1 the headquarters, line of communications, was moved from the Hotel Ste. Anne to the Hotel Mediterranee, Paris, where extensive telephone and telegraph service was provided. Direct communication between this headquarters and Le Havre was effected on this same day, and on October 22 Washington cables were handled directly between Le Havre and Chaumont. The telegraph office was opened at Tours on October 16, and at Neufchateau on October 30. 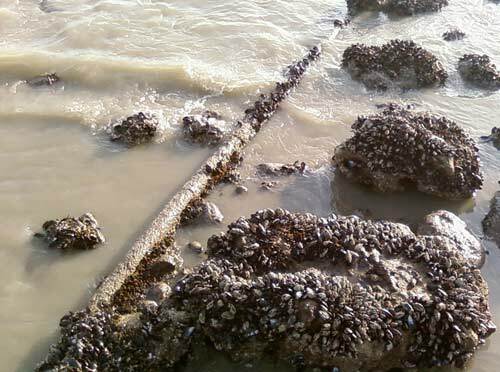 The chief signal officer visited England in November  to arrange for the laying of a 4-conductor cable across the channel and for telegraph and telephone lines in England. The British post-office authorities agreed to place, at our expense, and within two months, a 4-conductor telegraph cable from Cap d’Antifer to Cuckmere Haven, and to lease to us four telegraph wires from Cuckmere to London, and one telephone circuit simplexed for telegraph from London to Winchester and Southampton. Immediate arrangements were made for one telegraph line from London to Beachy Head, and with the British and French Governments for one conductor in a cross-channel cable, and, accordingly, on November 26 direct telegraphic service was inaugurated from Chaumont to London by Gen. Pershing, who sent the first official message to the American ambassador at London. In the meantime arrangements had also been made for the immediate manufacture of the 4-conductor cable which was to be placed between Cap d’Antifer and Cuckmere Haven. This cable was laid and turned over to the Signal Corps on February 24, 1918. The report also describes how personal messages from members of the AEF were transmitted over the circuits of Western Union and the Commercial Cable Company. 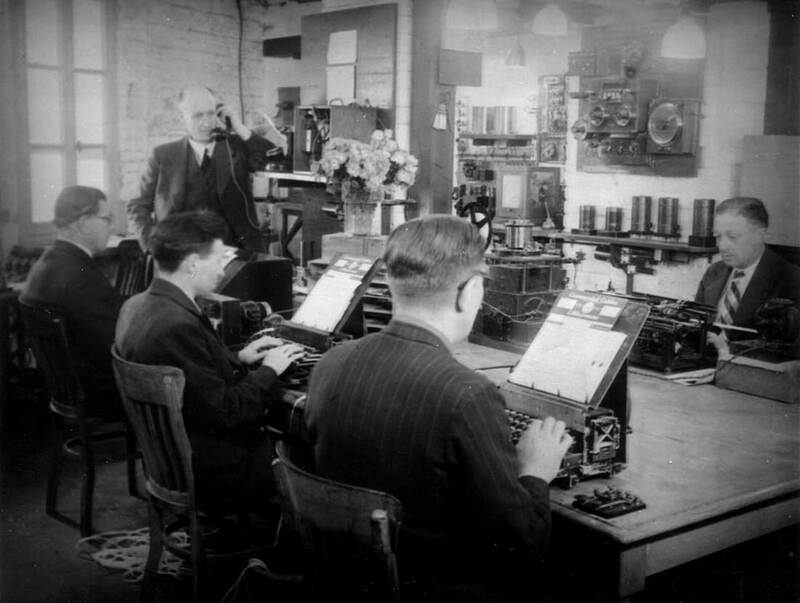 With the arrival of the American Expeditionary Forces in France, there was established a special cable service, designated as “E.F.M.,” or “Expeditionary Force Messages.” This was an arrangement made at first with the Western Union Co. in London whereby members of the American Army could communicate with the United States at special rates. The service was established on June 14, 1917. Originally the cablegrams were filed at the office of the chief signal officer, American Expeditionary Forces, after having been censored, and from there the messages were mailed to the London office of the Western Union for transmission. Soon it became apparent that the American regarded francs as something merely to be spent without relation to their comparative value with their own monetary system, and cablegrams flooded the office of the chief signal officer. The “amex force,” the official code cablegram name, were determined not to let those back home forget them. The arrival of divisions made it necessary to arrange for E.F.M. cablegrams to be handled through the divisional signal offices. Finally it became necessary to establish an office for auditing the accounts of offices handling the E.F.M.’s. From June, 1917, to April, 1918, inclusive, the Signal Corps handled 19,328 E.F.M.’s and paid to the Western Union from the funds it had collected 143,708.51 francs. The French Government through the French telegraph offices, on March 20, accepted E.F.M. cablegrams for transmission over its lines to Le Havre, where part of the business was turned over to the Commercial Co. and the balance forwarded to London for the Western Union. In June, 1918, this feature became an established plan, and the Signal Corps was relieved of further responsibility. On account of an unusual congestion of the cables, the E.F.M. service was temporarily suspended on October 25, 1918. The Signal Corps thus provided not only for communication for the Army in France but also linked together the troops with their homes under a plan which provided for communication at reduced rates. In May 1940, Operation Quixote was deployed off the coast of Norfolk to cut the six cables between the East Coast of England and the German islands of Borkum and Nordeney. The ships involved were the destroyers HMS Jackal, Jaguar, and Javelin, each of which escorted two of HM Trawlers Grampian, Pelton, James Lay, Milford Queen, Milford Princess and Cape Melville in cutting the cables in three groups. 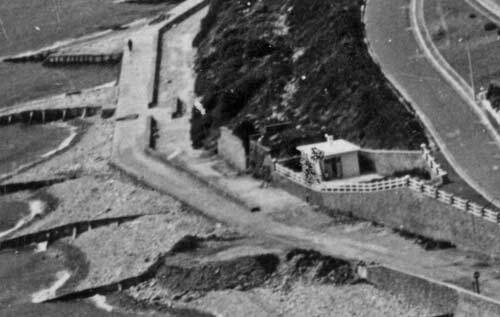 A signal from the Admiralty dated 12 June 1940 ordered that four other cables which had not been cut during ‘Quixote’ should now be dealt with as they had only been cut on the beach. One of those cut on the beach was the "Holywell – Dieppe Telegraph Cable (1861/1922)"; the three others ran from Cuckmere to Le Havre and had been laid in 1900 (Western Union), 1917 and 1918. 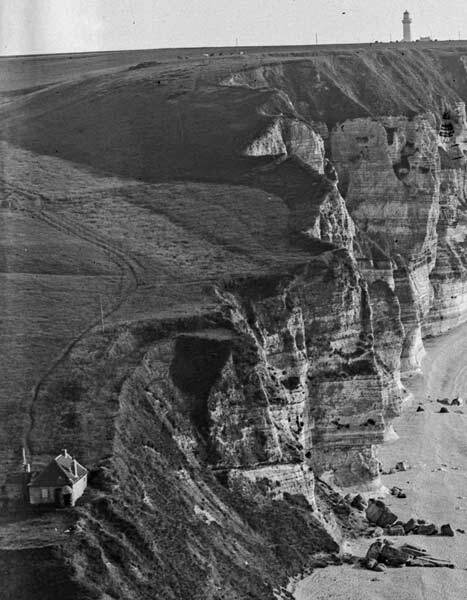 Note that the 1861 cable from Dieppe was landed at Birling Gap, Beachy Head, according to contemporary news accounts. Research continues on its listing above as being cut at Holywell, several miles east of Birling Gap. As noted above, the Commercial Cable Company occupied the same premises as Western Union; both had offices in the the Post Office building, known locally as “Le Havre Principal”. 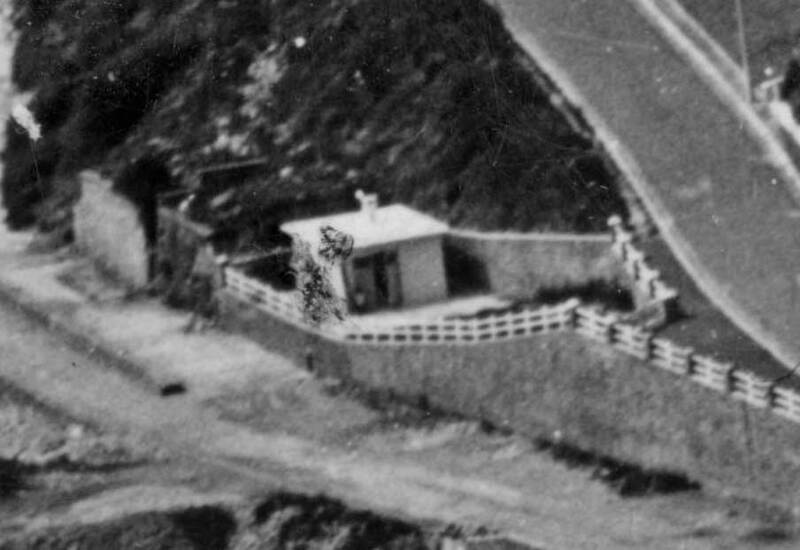 Towards the end of WWII the CCC had a temporary office in Sainte-Adresse, just a few kilometers away - actually much closer to the landing point of the cable. It is possible that this location was used because of damage to underground cables caused by bombs. By 1948, the date of this next photograph, the company had returned to the Post Office building. The Commercial Cable Company operated a number of Atlantic cables, laid between 1884 and 1923. The company's cables from Le Havre were routed to Waterville, Ireland, then on to Nova Scotia. Paul Gayet, a Commercial Cable Company operator, was born in 1907, and died in 1962, very affected by the closure of his office in 1958. Both his father and grandfather were telegraph operators. The CCC photographs in this section are courtesy of the Gayet Collection. 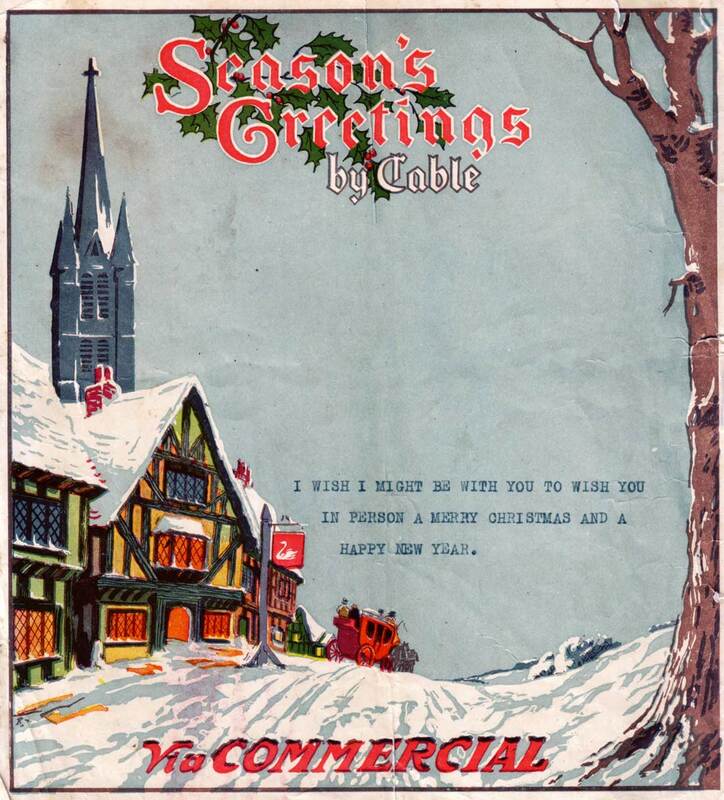 Thanks to Patrick Gueulle, Jeff Auger, and Bernard Perrault for providing cable samples, photographs and stories for this page, and to the daughter of Paul Gayet for photographs of the Commercial Cable Company operations at Le Havre and for the CCC Christmas message below.